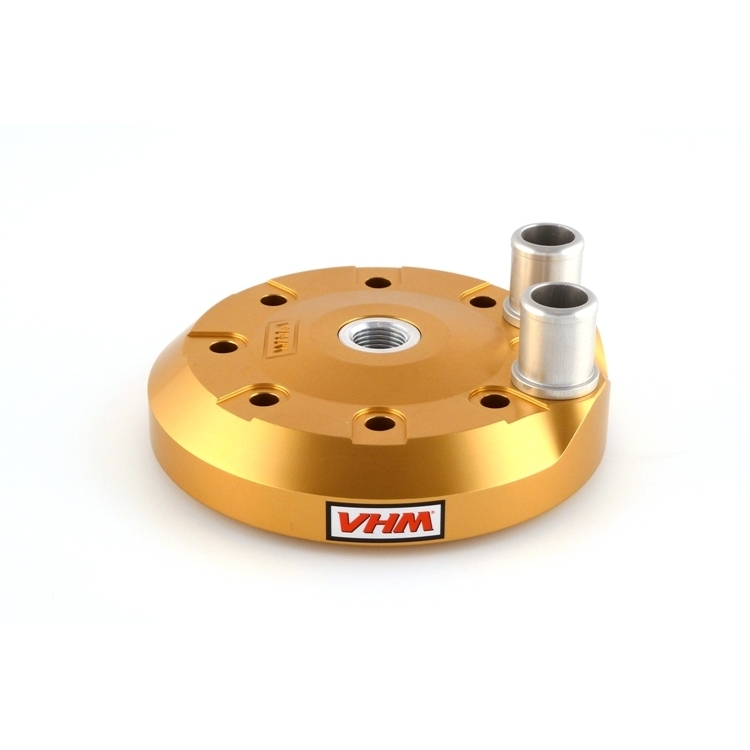 VHM produces exchangeable cylinder heads for two-stroke engines in motorcross and road racing. With the help of experience gained in two-stroke tuning, VHM develops products of high quality. During intensive tests, on the racetrack as on the VHM testbench, the cylinder head showed a better temperature development in the cylinder head. A lower engine temperature followed. The explanation of this phenomenon is the use of a special aluminum alloy which has a very good heat transference. An other advantage of the material is its resistance to detonation. It is also possible to design your own combustion chamber, just take a blind combustion chamber and you can make any type that you want.